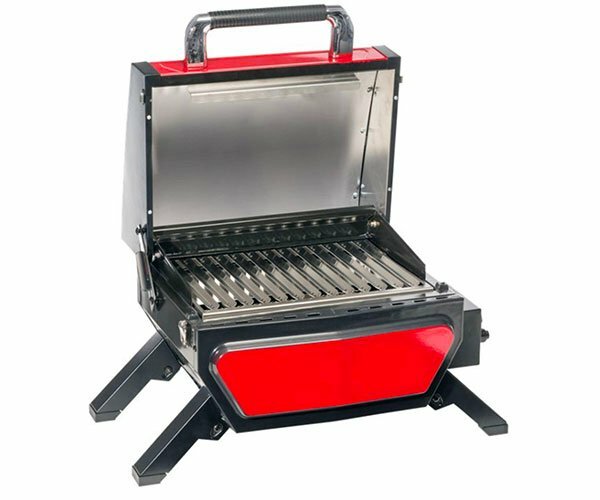 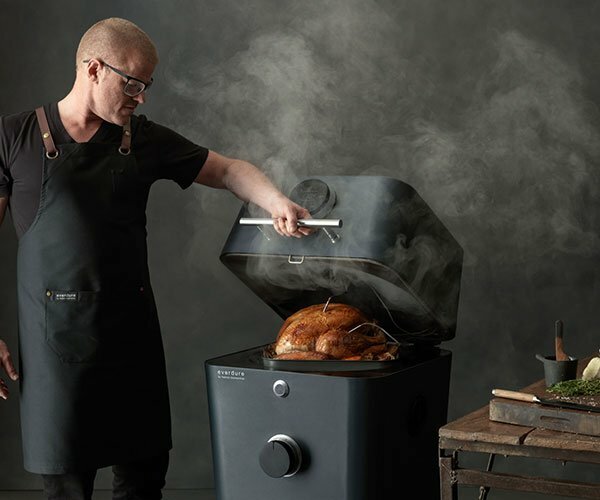 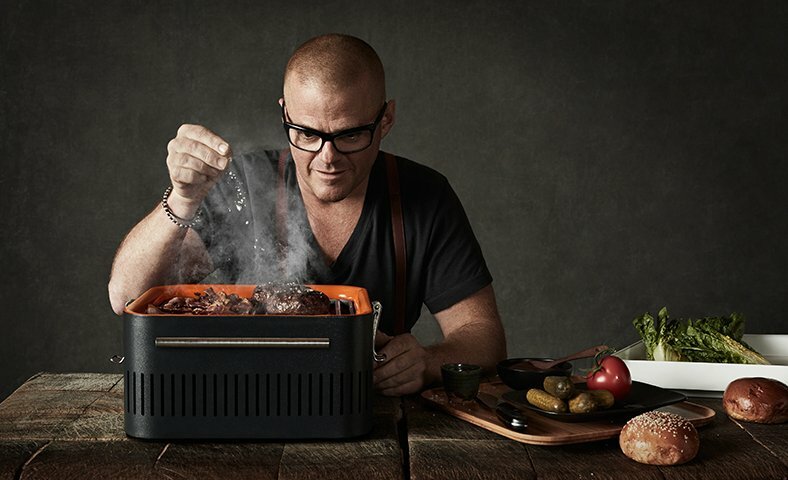 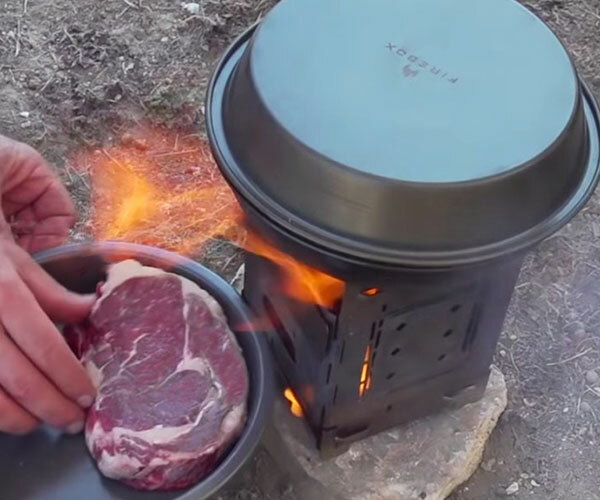 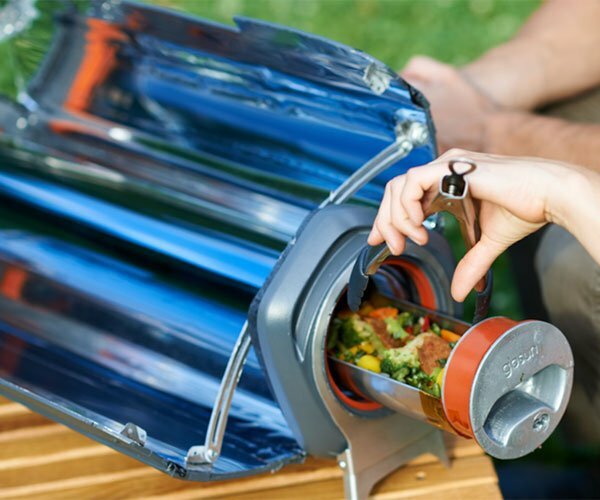 A compact and portable charcoal grill from Heston Blumenthal’s Everdure line of barbecue kits. 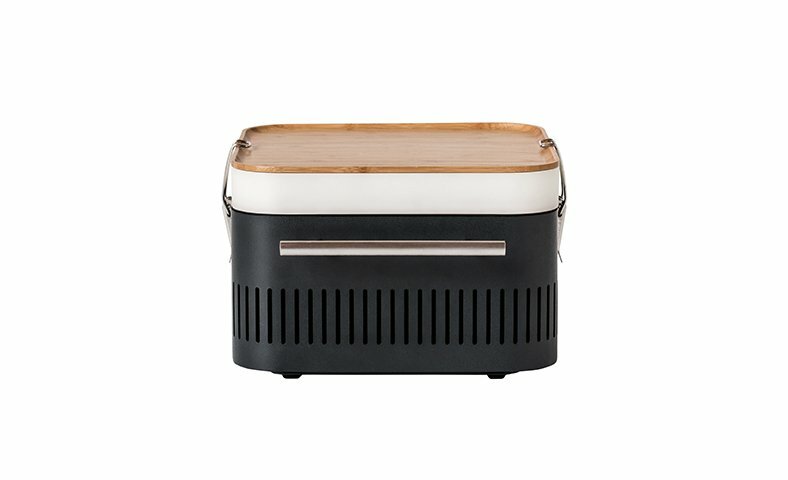 The Cube is made from stainless steel with a porcelain firebox. 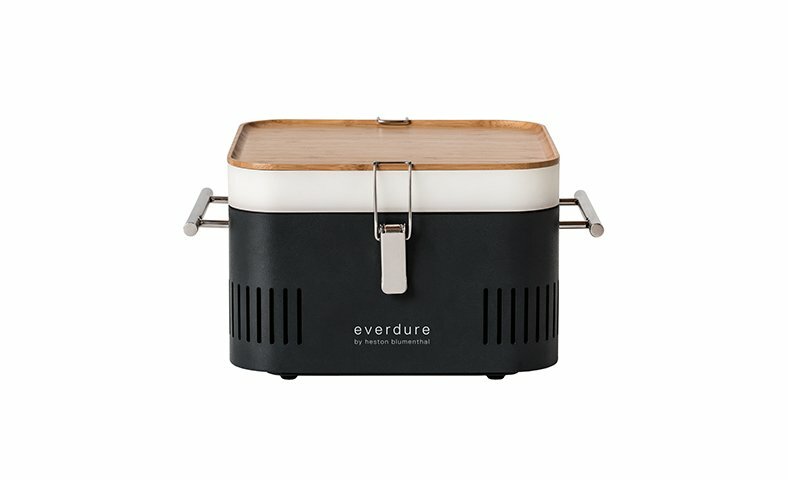 Its chrome handles remain cool to the touch, even while cooking. 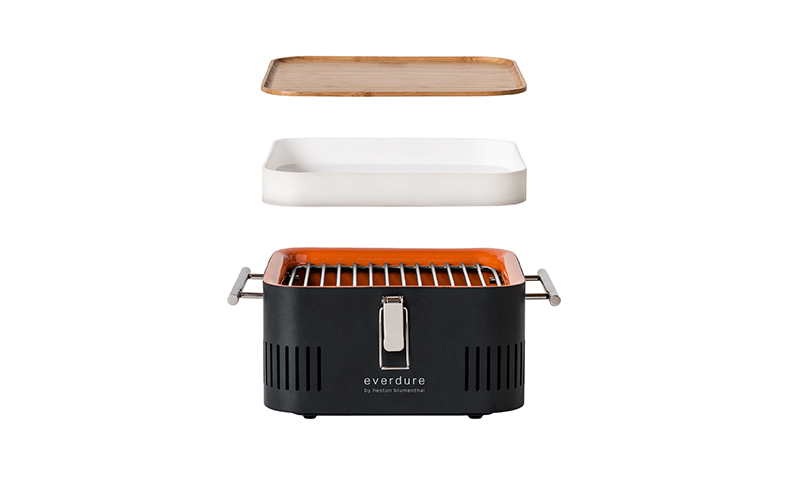 It has a built-in prep board and storage tray.